We invite you to experience the presence of Christ in our parish and in your heart as you make St. Angela Merici your Catholic home. 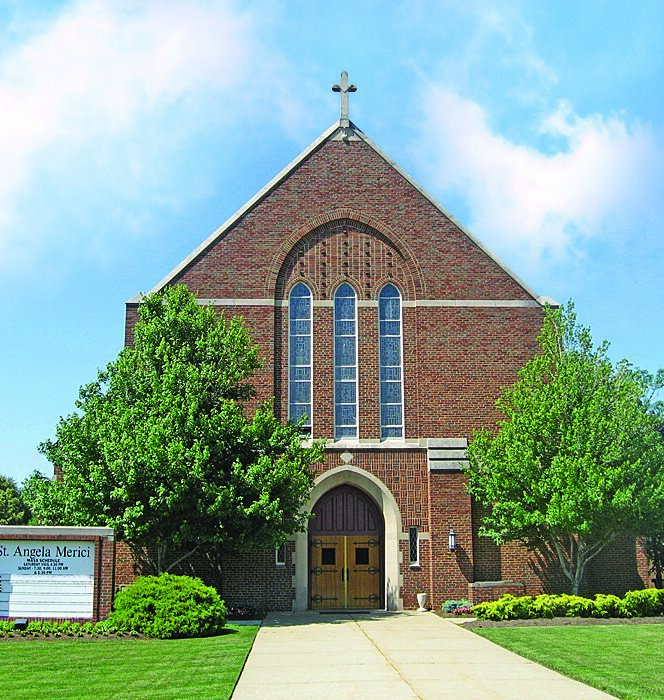 St. Angela Merici is a suburban Roman Catholic Parish which has been serving the people of Fairview Park, Rocky River and the surrounding area for 90 years. We have approximately 3,200 families involved in various aspects of Catholic life, making our parish a vibrant place. We support Catholic education with our Parish Elementary School, Parish School of Religion (PSR), and Youth of St. Angela (YOSA). People of all faiths and all walks of life are always welcome at St. Angela's. There are many ways to become involved in our Church even if you are not yet Catholic. If you are interested in becoming Catholic we encourage you to visit our Becoming Catholic page to learn more. If you are interested in joining St. Angela's, click on the 'Join Our Parish' button below to download the registration form. You can then drop it off at the Parish Center or email it back to dataprocessor@samparish.org. Parish registration forms are also available at the Parish Center office, which is located on the east side of the Church on Lorain Rd. We are always happy to welcome you in person and answer any questions that you may have. Please take a moment to introduce yourself to our Pastor, Parochial Vicars, Deacons or any other pastoral staff members at St. Angela’s.